Christmas has already crept up throughout Japan’s cities and shopping malls, and everyone is getting prepared for the most festive season. If you’ve been here a while, you may already know that Christmas is a strange season here in Japan– Feeling familiar and completely foreign all at the same time! 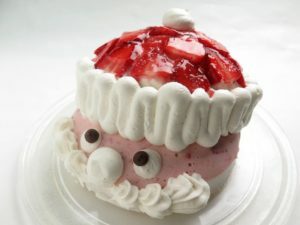 Japan has imported a lot of the West’s favorite Christmas traditions, and putting a uniquely Japanese twist on it! 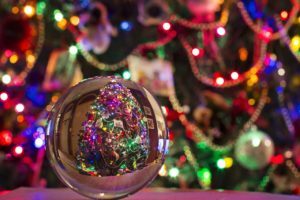 Is it your first Christmas season in Japan? Here’s how to get the most out of the season, and enjoy all the fun festivities that Japan has to offer. The Christmas lights (often called illumination) in Japan are certainly amazing! Large shopping malls, and city areas light up spectacular displays that draw thousands of visitors each year. There is nothing more festive or gets you more in the spirit than walking down a street lit up by thousands of twinkling lights. Popular shopping streets in Omotesando, Roppongi, and Ginza light up their streets with beautiful displays, and lights will be everywhere! 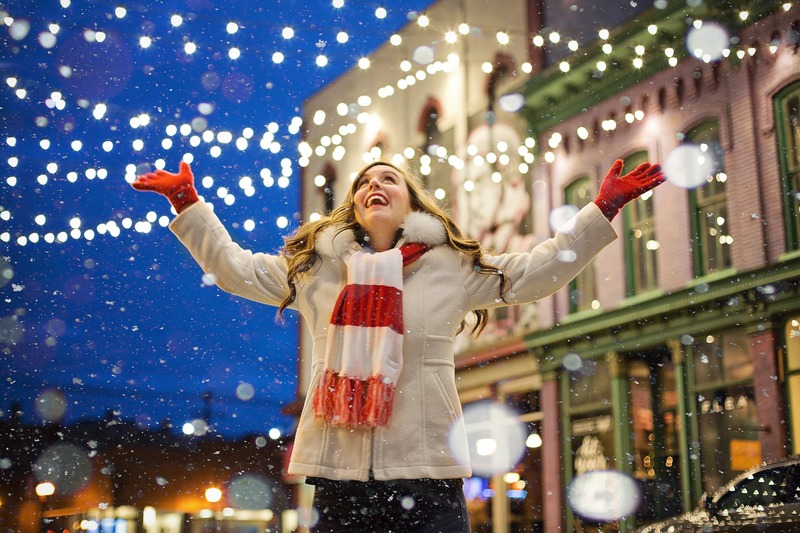 Do some shopping, grab a hot coffee, and take a nice stroll through the beautiful displays. 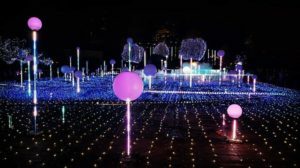 Featuring over 600,000 blue LED lights, Shibuya Blue Cave is a can’t miss display held in Yoyogi Park from 30 November – 31 December 2018. One of Tokyo’s most popular light displays, held at the iconic Tokyo Tower! Tokyo Tower’s Winter Fantasy is celebrating it’s 60th anniversary in 2018, and to celebrate the illumination’s centerpiece is a 11-meter 60-year old living fir Christmas tree! This is a can’t miss event held from 2 November 2018 – 28 February 2019. Million’s of jewell-colored lights take over Yomiuri Land in this annual event! The whole park is lit up, in 8 spectacular areas. This is a can’t miss evening out this winter! Held in Yomiuri Land from 11 October 2018 – 17 February 2019. 2: Eat some Fast Food! Fast food? On Christmas? Yes! Did you know it’s traditional to eat pizza and fried chicken on Christmas in Japan? Started from a genius marketing campaign in the 1970s by Kentucky Fried Chicken, fast food (especially fried chicken!) has been an important Christmas tradition in Japan ever since. 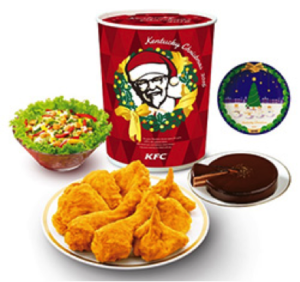 Fast food chains offer special Christmas sets and party packs all throughout the season. 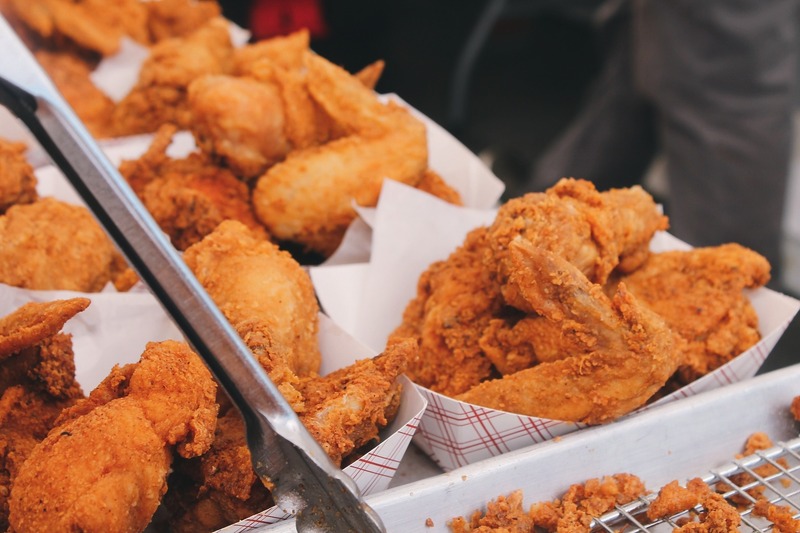 People line up for hours Christmas day for their fried-chicken bucket, and Kentucky Fried Chicken has been known to sell out well in advance– So it’s recommended you place your Christmas Day order weeks in advance! Typically, if you aren’t a child you won’t be getting many Christmas presents in Japan. Couples will exchange small presents, but gift-exchanges between friends and family usually come with the New Year. Even though gift-exchanges aren’t as common as in the West, shopping malls take full advantage of the season! Malls are decorated with beautiful decorations and illumination, and shops put out exclusive Christmas merchandise. Not to mention, sales! Pick up a few things for your friends and family, and treat yourself to a year-end gift! 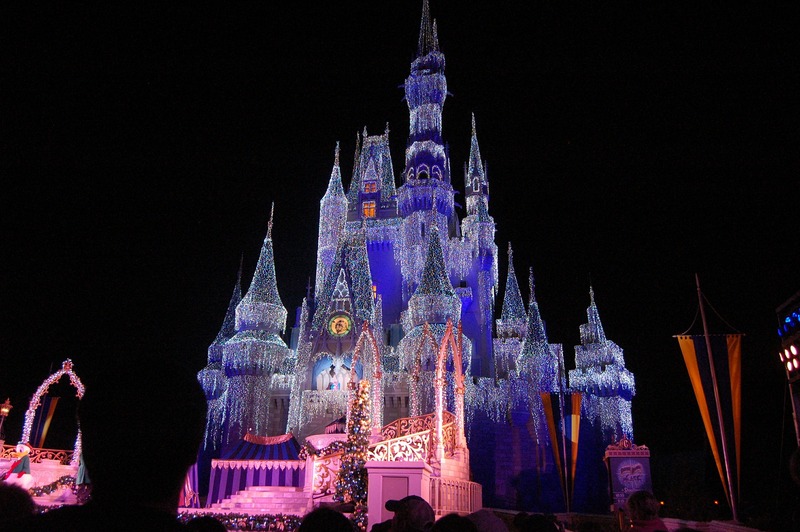 If you can only go to Tokyo Disney Parks one time this year– make it Christmas time. 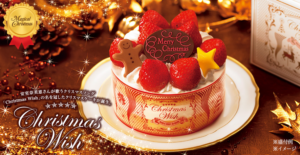 The Christmas celebrations at Tokyo Disney Parks go all out! 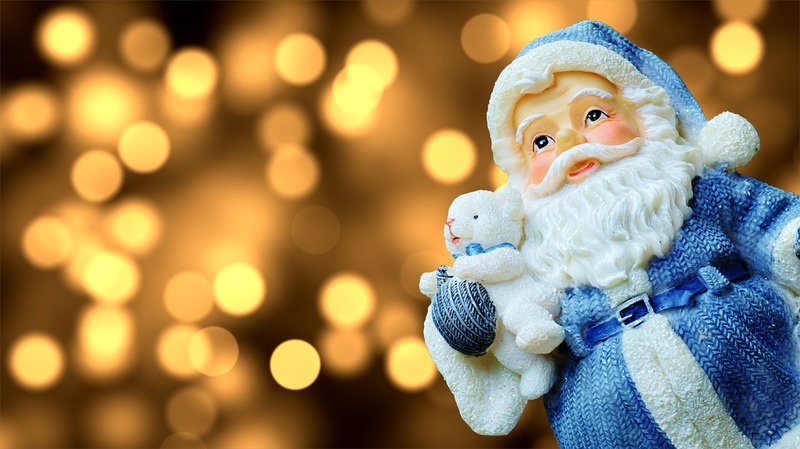 Seasonal parades, shows, decorations, food and merchandise– It’s a can’t miss event! Disneyland and Disney Sea are even more crowded than usual this time of year, so this is a great season to utilize the Starlight Passport and enjoy a great evening out. Starting in mid-November, Bavarian-style Christmas markets pop up all over Tokyo. Check out the markets and enjoy some traditional holiday decorations, unique gifts, and great food and drink. Christmas markets are a favorite Christmas tradition for me and my family– I’ve found that they’re one of the only places in Tokyo to have a glass of mulled wine! Held at Roppongi Hills Oyane Plaza every year is Tokyo’s oldest Christmas market! Make a day of it by shopping, checking out the market and viewing Roppongi’s famous illumination. Held from 23 November 2018 – 25 December 2018. My personal favorite Christmas market– The Yokohama Red Brick Warehouse Christmas market is a can’t-miss event! The iconic Red Brick Warehouse makes the perfect backdrop to a beautiful Christmas market. Enjoy ice skating, food and drink, and tons of unique crafts and gifts. Held from 23 November 2018 – 25 December 2018. 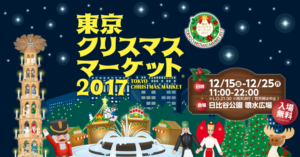 The only Christmas market in Japan with the backing of the German embassy and German Tourism Association, the Tokyo Christmas Market can’t be beat! Featuring a huge Christmas pyramid, and a live choir in the evenings, visiting Tokyo Christmas Market is guaranteed to be a great evening out. Held in Hibiya park from 14 December t0 25 December 2018. 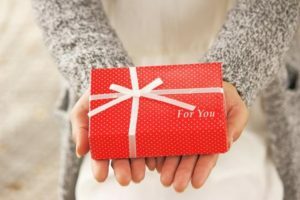 3 Best Gifts for Christmas!